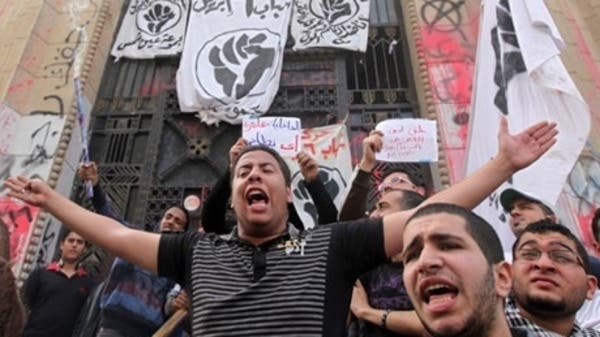 The third anniversary of the Jan. 25 uprising has already been stained by early morning bombings. Following a string of deadly attacks a day earlier claimed by the al-Qaeda-inspired militant group Ansar Bayt al-Maqdid, Egypt on Saturday cautiously woke up to the third anniversary of the uprising. One bomb exploded near a police academy in Cairo, wounding one person, security sources said. The second blast was reported in Hadaeq al-Quba, a Cairo district. “The bombings continue to defer the day when other voices and issues (i.e. 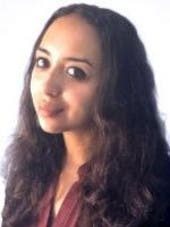 issues other than security) can emerge because obviously everyone is at least publicly against violence,” Walter Armbrust, a Hourani Fellow, told Al Arabiya News on Saturday. 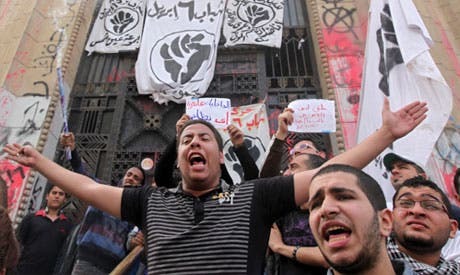 On Saturday, rival political groups in the country are set to mark the 2011 uprising which ended in the overthrow of President Hosni Mubarak with planned protests across the country. 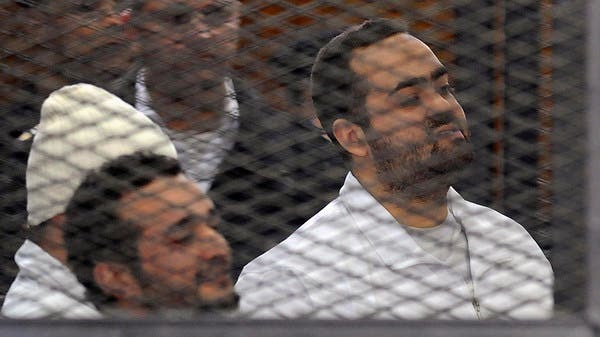 The government has said extra security measures are in place for Saturday, announcing earlier in the week that the Egyptian public should “celebrate” the anniversary. "We have a plan to secure all of this for the anniversary of the 25 January revolution," Egyptian Interior Minister Muhammad Ibrahim said. Earlier this week he warned supporters of the Brotherhood that any attempt to "disrupt" festivities will be dealt with "firmly." Is there really much to celebrate? “It's difficult to 'celebrate' real progress at this point. The recently passed constitution of course affords important new safeguards for civil society but this is all contingent on a continuous and increasingly vicious cycle of violence,” said Max Reibman, a Gates Scholar at Cambridge University who specializes in Modern Middle East History, told Al Arabiya News. 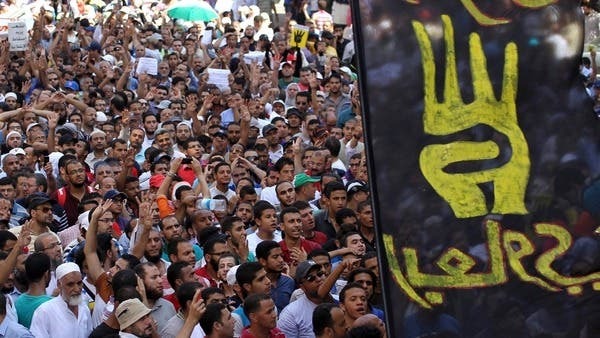 The Muslim Brotherhood has held regular protests since the military, led by Gen. Abdel Fattah al-Sisi, ousted Islamist President Mohammad Mursi last July following a wave of mass protests against his rule on June 30. 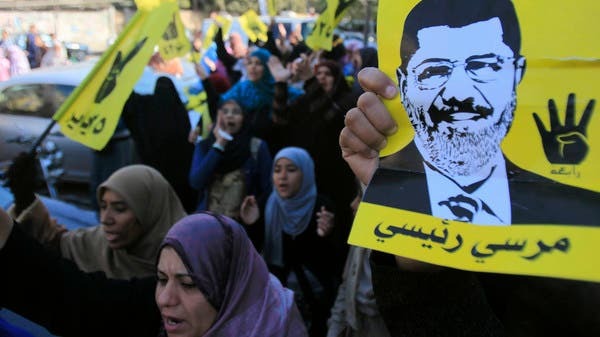 The Anti-Coup Alliance, led by Mursi's Muslim Brotherhood, called for 18 days of protests beginning on Saturday, mirroring the 18 days of protests that led to Mubarak stepping down in 2011. “The Brotherhood does not necessarily think that it will achieve immediate success. 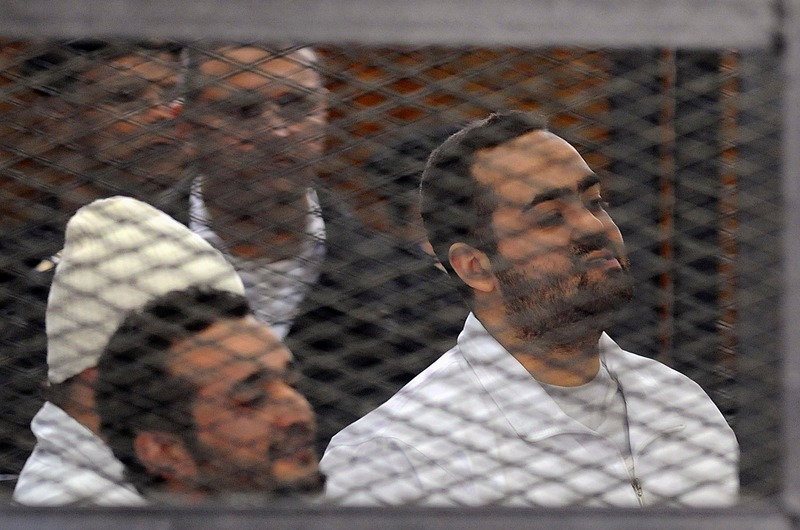 We must remember this is a group that has been persecuted for over half a century by several Egyptian regimes. They have patience. What they want to prove is that they have fortitude and will not back down,” Justin Dargin, a geopolitical expert at Oxford University, told Al Arabiya News. “These actions are as much for their domestic constituency as they are for the international community. They seek to show that they are not cowed and are in it for the long haul. “Jan. 25 has been forgotten, and we are back to square one. Our protests are not being allowed and anyone opposing the army is being wiped off the map. That’s why we need to reclaim what the revolution had initially demanded back in 2011,” Nageeb said. Also planning protests is the April 6 Youth Movement, of which six of its members were arrested in recent days for handing out flyers calling for a “third revolution” on the third Jan. 25 anniversary. In a statement on Wednesday, the bloc condemned the arrests. "If your message is that the revolution happened so only [Mubarak] regime figures and pro-military people have their freedom, then a third revolution is on its way because of your actions. Your oppression of the youth for merely distributing flyers is a clear invitation to rebel against your injustices," the statement read. "If calling for a gathering on the anniversary of the revolution is considered a crime then why aren't media people and politicians who do the same being punished as well?" it added. But analysts are skeptical that anything will come of the youth movement’s plans. “[April 6] will not be very successful. The war on terror rhetoric will keep them from being heard,” Armbrust said, in reference to the army-led clampdown on “terrorist activities” by Muslim Brotherhood members and supporters, as well as anti-army opposition activists, since Mursi’s ouster. “Such attempts at another revolution will not be successful. 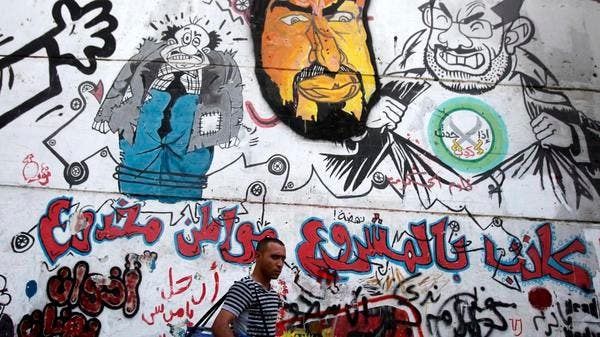 One reason is that the Egyptian people themselves are tired of the instability, and on the whole, many welcome the stability that military oversight will bring,” said Dargin. 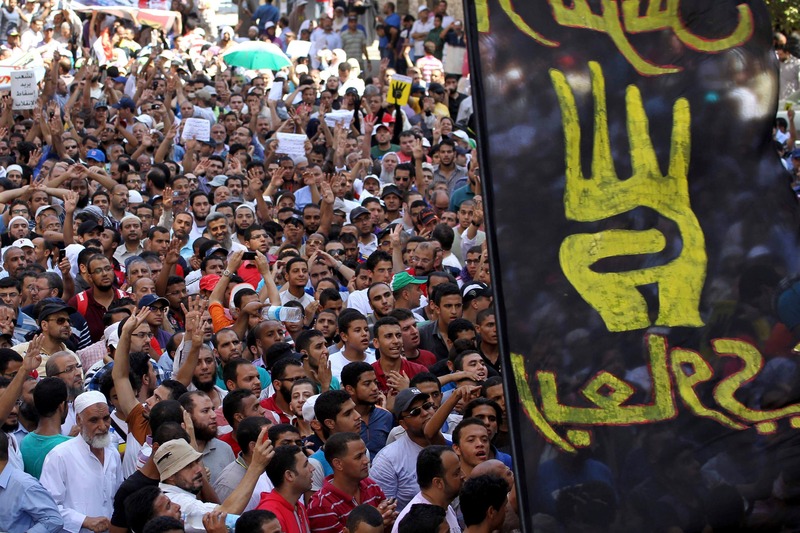 The 2011 revolt raised hopes of a stable democracy in the Arab world's most populous nation. But relentless political turmoil has been shattering hopes for investment and tourism to recover. 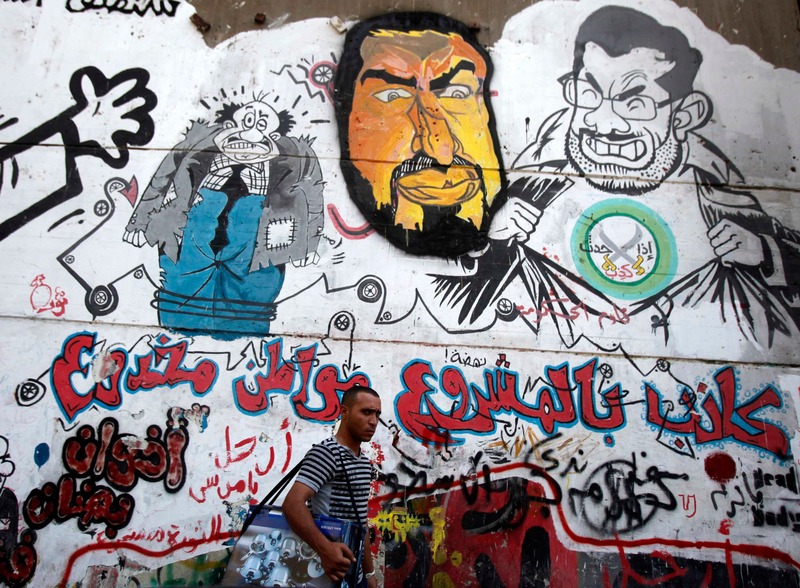 The unrest has polarized the Egyptian public in a way that has undermined public safety since 2011. In mid-2013, crime waves hit new highs. According to Egypt’s then interior ministry officials, the rate of homicide almost tripled since the 2011 revolution due to a rise in unemployment, which the ministry views as an added obstacle to an already existing economic crisis. Reported armed robberies increased from 233 in 2010 to 2,807 during last year, according to a Financial Times report, while home invasions also hiked from 7,368 in 2010 to 11,699 in 2012. Despite their rarity, kidnappings for ransom rose from 107 in 2010 to 412 in 2012. “Prolonged armed conflict between the military and Islamists has the immediate consequence of undermining public safety but more profoundly it could shut down the political process and allow the state to take extraordinary measures to enforce the rule of law,” Reibman said. Now, segments of the population continue to feel alienated as a major surge of popularity for Egypt’s Gen. Sisi prevails. “Obviously "the public" (obviously never more than superficially unified) is more openly divided than before, though this is not new,” said Armbrust. “Since the fall of the Mubarak regime all political forces, including elements of the old regime and the security forces, have been trying to claim the legacy of the Jan. 25 revolution as their own. This year is no different in that respect. What is different is that since the June 30 event, whether you call it a revolution, a coup, or something else, all political and social forces have had a new fact to reckon with,” he added. Ultimately, the need for a stable environment, in which terror attacks and rival clashes subside, will remain to be a key goal for the country. “In terms of ordinary Egyptians, their main concern is stability, both economic and political. If we look back to the original protests, it was initiated by the corruption of the Mubarak regime that siphoned off the state revenue and also had the country under a perpetual state of emergency. In reality, it is too early to say that what has been achieved. No revolution in history has been a seamless and smooth process,” Dargin said. Jan. 25 anniversary: When will Egypt run out of revolutions? 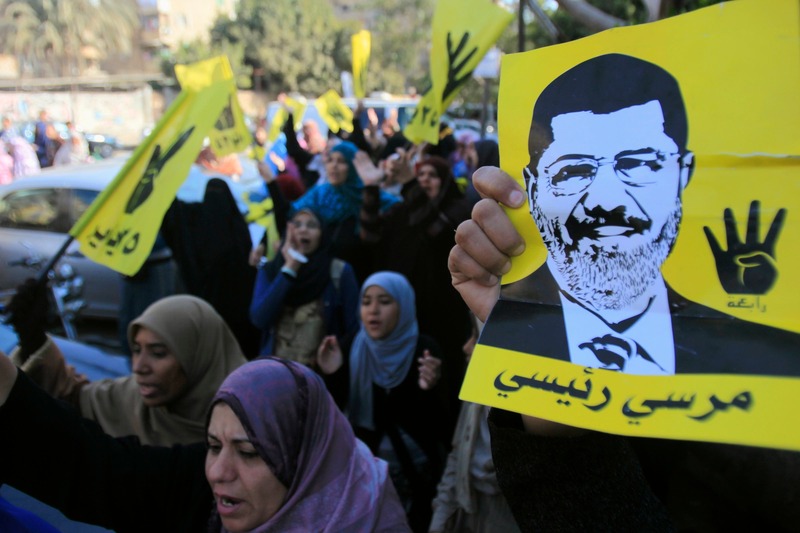 Key players in Egypt’s Jan. 25 revolution: Where are they now? With al-Qaeda-inspired bombings, relentless political turmoil and dismal outlooks for investment and tourism, what’s there to celebrate?